Filers can pay certain fees through the portal for the Supreme Court. 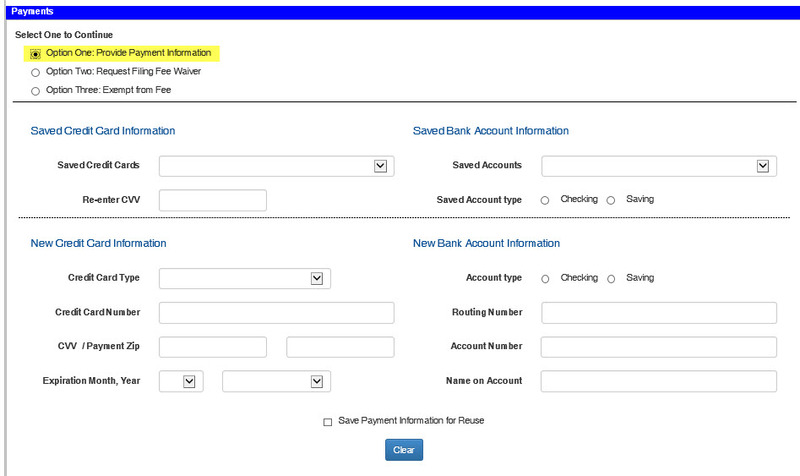 To access what fees can be paid through the portal, go to the “Document” page after entering the case number. On the “Documents” page, after clicking the “Add” button, navigate to the “Pay Fee” category. Put a check in the box next to the fee that you want to pay. Then, go to the bottom of the page and upload a one (1) page Filing Fee Paid letter, stating that you are paying the fee through the portal. The fee amount and the fields to enter the payment information will be on the “Review and Submit” page.